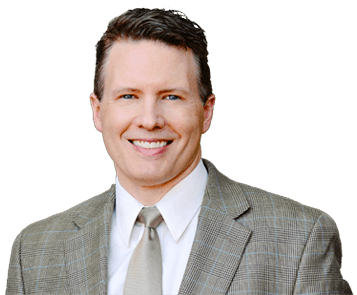 How to Beat the Winter Blues and SAD - Scott Carroll, M.D. It has been said that January is the most depressed month of the year and it certainly feels like it at my hospital this year. We have admitted a teen that attempted suicide almost every day over the first two weeks of January and on a few days we had two. Thankfully, the rate has slowed down now and everyone survived without permanent injury, but that got me thinking that it might be helpful to talk about how to cope with the Winter Blues also known as Seasonal Affective Disorder (SAD). Technically SAD is not recognized as a separate mood disorder in the DSM 5 (the “bible” of psychiatric diagnoses), but rather is accounted for with the “with Seasonal Pattern” modifying label for other mood disorders such as Major Depressive Disorder and Bipolar Disorder. In typical DSM fashion the criteria are very high and strict so most people with the Winter Blues don’t meet criteria for the formal diagnosis. However, that doesn’t mean you don’t have a problem worth treating. Many research studies have shown that for every person that meets full criteria for SAD, there are two or three people that have enough symptoms that treatment is still warranted; what mental health professionals refer to as being “subclinical”. While people that have the full disorder usually need professional treatment, people with milder, subclinical forms often benefit from lifestyle adjustments that we’ll discuss below. Of course, if you are having severe depressive symptoms that are significantly impacting your job or your relationships please consider seeking professional treatment, since many treatments for Seasonal Affective Disorder don’t involve medication. Also, if you are having suicidal thoughts, please go to your nearest emergency room or call the national suicide hotline (1-800-273-8255) for assistance. Use of the information provided in this article is of course not a substitute for professional treatment. What are the Winter Blues and SAD? The winter blues/SAD are the common terms that refers to the tendency of most people to have lower energy levels or be more sad and irritable during the winter, especially farther north they are and in places with persistent cloud cover. While the winter blues/SAD can cause depressive symptoms like sadness, irritability, tearfulness and anxiety, the symptoms are often more physical like low energy and motivation and increased sleep. In extreme cases, people may sleep 12, 14 or even 20 hours a day, but still feel tired and not be able to get out of bed when they are awake. Suicidal thoughts are not unusual in these extreme cases. However, most people have milder, subclinical forms where they may just feel sluggish and unfocused or a little more sad or unmotivated than usual. They may also have increased appetites and crave sweets and carbohydrates. These symptoms typically start in the fall as days grow shorter and colder and the cloud cover increases. They then peak when the days are shortest in late December and January. However, for some people their symptoms don’t peak until February or March as winter drags on. Once spring rolls around they start to feel better and by summer they are back to normal without seeking treatment or making lifestyle adjustments. However, people who already have depression or Bipolar disorder, may be worse in the winter, but only go back to their regular level of depression in the spring, while some don’t improve at all. Interestingly, it is possible to have a reversed pattern, where you are depressed in the spring and/or summer and feel better in the winter. This reversed pattern mostly occurs in people with Bipolar disorder, but can also occur with the regular form of SAD. What Causes the Winter Blues and SAD? The leading theory is that it is a form of hibernation in humans, since almost all diurnal animals (ones that are active during the daytime as opposed to being nocturnal) that live in northern climates and don’t migrate south have reduced activity levels in the winter even if they don’t fully hibernate like bears. This theory is also supported by the fact that the symptoms are more physical than typically found in depression with low energy and increased need for sleep as opposed to emotional symptoms such as sadness, anxiety and guilt. There is also evidence that melatonin – the hormone our brain releases to induce and maintain sleep – is increased, while serotonin – our happy daytime hormone – is decreased in SAD. This makes sense because the primary trigger that causes our brains to release melatonin is darkness, while sunlight causes our brain to stop releasing it and release serotonin instead. Also, all medications that have been shown to help SAD either block the release of melatonin or boost serotonin levels. Are the Winter Blues and SAD More Common in Some Places? Yes, rates for the winter blues/SAD vary widely based on location. For example, the rate in Alaska is about 10% with another 25% of people having milder, subclinical forms. Florida on the other hand has a rate of only about 1.5%. Also, cloudy places like Seattle and Boston have higher rates than sunny places like Phoenix and Los Angeles. There are exceptions to this pattern such as the fact that Icelanders have a very low rate of only about 1%, while the Irish have a rate of about 20%. The rate in Japan is also low at around 2%, which raises the question about whether diet has an effect since Iceland and Japan have the highest rates of fish consumption in the world. 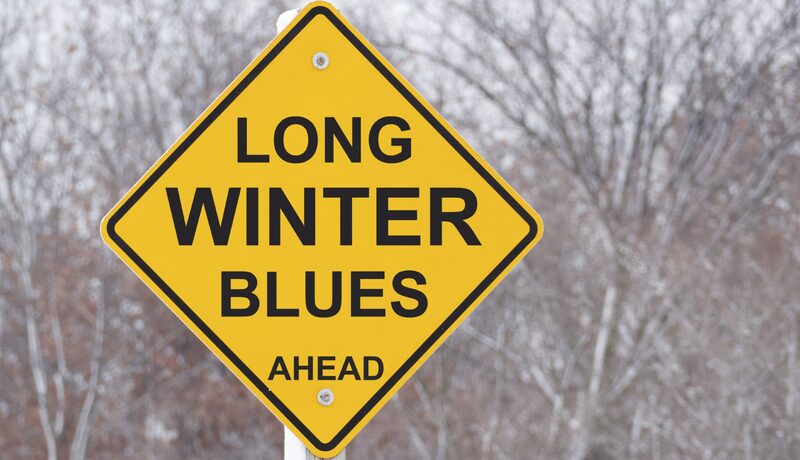 What are the Risk Factors for the Winter Blues and SAD? Females are affected about 3 times as often as males and already having depression increased your risk as well. So this may be related to the fact that females also get depressed about 3 times as much as males too. People with a family history are more likely to have it so genetics clearly plays a role. Young adults have it more than the elderly. This may be due the fact that melatonin production goes down with age and why the elderly have trouble sleeping at night and then nap more during the day. People that are sedentary seem to have more WB/SAD than people that exercise. This may just be an association because the first symptom of SAD is often loss of motivation for things like exercise. On the other hand, exercising outdoors has also been shown to be an effective treatment for SAD. While most people seem to be born with WB/SAD, it can clearly be induced when people move from a southern/sunny place to a northern/cloudy one. This happened to me when I moved from Louisiana to Boston for college and again when I had to work in Seattle for a month one winter. However the strongest risk factor is probably having Bipolar disorder. Almost everyone with Bipolar disorder has a seasonal pattern to some degree where they are more depressed in the fall and winter and manic to some degree in the spring and summer. The seasonal pattern in Bipolar disorder tends to be strongest in the mild to moderate cases, but even people with severe forms often have some seasonal variation in their mood episodes as well. What are Some Lifestyle Treatments? Perhaps the simplest treatment is to increase your sunlight exposure by opening your curtains first thing in the morning. Another easy option is to exercise or even better, exercise outdoors in the morning to synergistically combine the two. If you live in a cloudy area or have to get up before the sun, consider getting a full spectrum lamp, also known as a light box. Light boxes work by using special florescent bulbs that produce lots of blue and blue-green light unlike incandescent bulbs. They are also much brighter than normal lights and produce at least 10,000 lux (a measure of brightness). 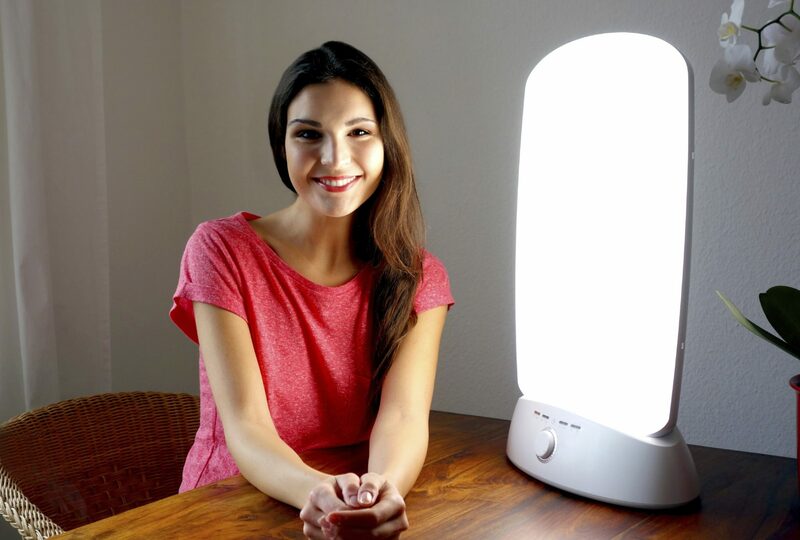 Expose you eyes to the light box for 30 to 60 minutes each morning or until you feel awake. Don’t stare directly into the box; just put it near by so it is to the side of you vision. My wife keeps hers on the bathroom counter and uses it while she gets ready for work in the morning. Negative air ion therapy has also been shown to help, but the amount of ions needs to be fairly high. Some light boxes also produce these ions so you can get the benefit of both. Cognitive Behavioral therapy has also been shown to help people cope with the WB/SAD even though it doesn’t directly help the low energy and motivation. Another easy treatment that helps some people is using melatonin at bedtime. Some people may feel tired and sluggish and even go to bed early, but then they don’t sleep deeply so they still feel tired in the morning. Melatonin helps them actually go to sleep and sleep well so they feel rested in the morning. The other way melatonin may help is if you take enough on a daily basis, it will cause you to stop releasing your own melatonin. That way you are only sleepy when you take the melatonin and feel awake the rest of the time. 3 to 6 milligrams on a nightly basis seems to work. Just don’t take more than 10 milligrams or it can keep you awake. Some other treatment that may help include taking Vitamin D, fish oil, SAMe and Saint John’s Wort. All of them have some evidence for helping regular depression, but the evidence for WB/SAD is less clear. In the case of Vitamin D and fish oil, they are fairly safe and have other health benefits so try them first. Of course my favorite option is to take a vacation in a sunny location like the Costa Rica or Belize. Going on a ski trip to Colorado or New Mexico can also help because they are sunny even in the winter. What are Some Medications that Help? Most medications used to treat SAD make use of the fact that norepinephrine blocks the release of melatonin. In addition, norepinephrine (NE) is a stimulating hormone in the brain that directly increases wakefulness, energy levels and mood, which is why many antidepressants, pro-wakefulness and ADHD medications target NE. Bupropion (Wellbutrin/Zyban) is one of the most effective medications for SAD since it is an antidepressant that exclusively targets NE. Other medications that work on NE and help SAD include modafinil (Provigil) and armodafinil (Nuvigil), which are both medications used to treat excessive sleepiness due to shift work, narcolepsy and sleep apnea. Medications used to treat ADHD also seem to work for SAD, probably due to the fact that they all increase NE levels in addition to other brain chemicals such as dopamine. Atomoxetine (Strattera) is one such ADHD medication that has the additional benefit of not being a controlled substance. Stimulants such as methylphenidate (Ritalin/Concerta) and amphetamine (Dexedrine/Adderall) also work for SAD, but most doctors won’t prescribe them for SAD unless you also have ADHD or narcolepsy because they are controlled substances with potentially serious side effects such as heart problems and addiction. While most antidepressants work on serotonin, they also seem to help SAD probably due to the fact that increasing serotonin levels tends to cause NE levels to increase as well. These serotonin only antidepressants are called Selective Serotonin Reuptake Inhibitors or SSRI’s for short and include medications such as Prozac, Zoloft, Lexapro, Celexa and Paxil. SSRI’s work well for mood symptoms such as sadness and anxiety, but seem less effective for the low energy and sleepiness. Thankfully, some antidepressants work on both serotonin and NE, so they help both the mood and low energy. Examples of such medications include duloxetine (Cymbalta), venlafaxine (Effexor/Pristiq) and mirtazapine (Remeron). Tricyclic antidepressants (TCA’s) also work on both serotonin and NE, but they are rarely used anymore due to high levels of side effects and being extremely dangerous in overdose. Patients on tricyclic antidepressants have to be carefully monitored with regular EKG/ECG’s to test for heart rhythm problems. Many primary care providers, including nurse practitioners and physician assistants are comfortable prescribing most of these medications so you may not have to see a psychiatrist. However, if there is a question about whether you have SAD or Bipolar disorder with a seasonal pattern, you will need to see a psychiatrist to figure that out since very few primary care providers are comfortable diagnosing or treating Bipolar disorder. Also, if you are having severe complications from your SAD like suicidal thoughts or you are unable to function, you will probably need to see a psychiatrist. However, it is often faster to see your primary care provider and have them facilitate you seeing a psychiatrist. Finally, suicidal thoughts along with other serious psychiatric symptoms such as hallucinations and paranoia are emergencies so if you are having them you need to call 911 (or your local emergency number), go to the nearest emergency room or call a suicide hotline such as 1-800-273-TALK. While you generally don’t need to see a medical provider for SAD as long as you don’t have suicidal thoughts and aren’t severely affected, there are some medical conditions that mimic SAD. The two most common conditions that mimic SAD are low thyroid function and sleep apnea. Thyroid hormone is a master hormone that regulates both your body and brain function. It controls your overall metabolism, energy levels, sleep, mood, concentration and memory. In addition to the symptoms of SAD, low thyroid also causes temperature problems so people feel cold when everyone else is comfortable. Other low thyroid symptoms include slow gut motility and constipation as well as weight gain without a change in appetite and dry hair and skin. It also causes mental problems such as poor concentration and memory. Since so many low thyroid symptoms are also common in both depression and SAD, doctors routinely test for low thyroid before making a depression or SAD diagnosis. The one symptom of low thyroid not found in depression or SAD is constipation, so if you are also more constipated despite drinking plenty of fluids, consider seeing your medical provider. Also, low thyroid is so common that if you haven’t had your thyroid tested in the past year, it is probably a good idea to get tested regardless. Sleep apnea occurs when people don’t breath enough during sleep. Their oxygen levels then drop causing them to partially wake up to breath. As a result, they are not able to spend enough time in deep sleep so they don’t feel rested when they wake up. The key is that they don’t remember partially waking up to breath so they are puzzled by how tired they feel despite sleeping all night. The most common cause of sleep apnea is collapse of the airway during sleep due to being overweight with excessive fat in the throat area. Other causes include large tonsils and adenoids (tonsils at the back of you nose above your soft palate) that can block your airway, while some people just have floppy palates and airways that collapse easily. Rarely people have brain problems where their brains just don’t tell them to breath enough during sleep. While sleep apnea often requires a sleep study in a lab to diagnosis, there are a number of clues that help distinguish between sleep apnea and SAD. Snoring with excessive pauses between breaths is one clue. Another is being excessively restless at night where you may kick your partner repeatedly or kick the covers off. The biggest clue is if you prefer to sleep overnight in a recliner or sitting up instead of in your bed. Treatments for sleep apnea vary from sleeping with a breathing machine to medication to surgery depending on the cause, but please get tested and treated if you suspect sleep apnea because it can cause severe problems from obesity to heart failure if left untreated. While these are just two medical conditions that mimic SAD, there are many more disorders that can also mimic SAD. So if your SAD doesn’t significantly improve with the non-pharmacologic and lifestyle treatments please seek medical evaluation. Alternatively, if you either have other medical problems that are not being treated or have recently worsened, please seek medical care because they may be the cause of your symptoms and not SAD. Did you like this article or disagree with something? Please leave your thoughts, comments and suggestions below and thanks for visiting my website. Thanks, I’m glad it was helpful. Please let me know if you have any suggestions for improving the post or information to add to the article.